BRUSSELS/FRANKFURT (Reuters) - German Finance Minister Olaf Scholz on Monday confirmed that the country's two largest publicly listed banks - Deutsche Bank and Commerzbank - were exploring a possible merger. "There are talks about the situation, how it is," Scholz told reporters when asked about media reports of merger talks. 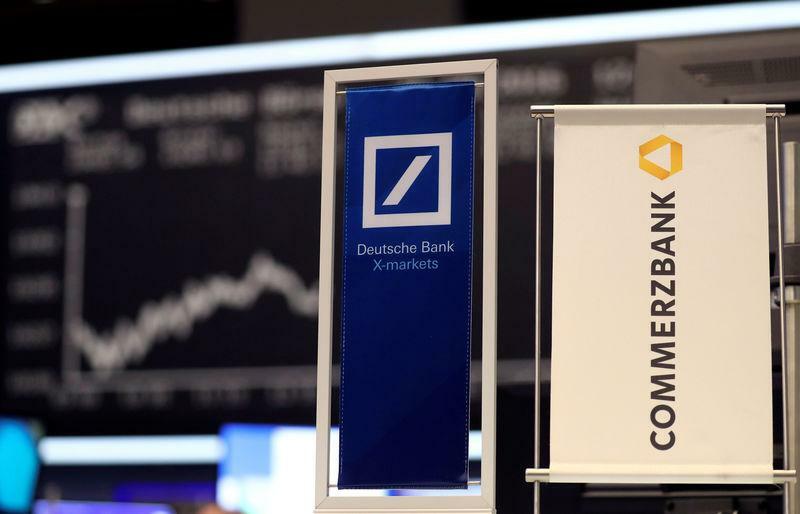 Reuters and other news organizations, citing unnamed sources, reported at the weekend that Deutsche Bank's chief executive Christian Sewing had agreed to hold tentative talks with rival Commerzbank. Berlin, which has been worried about Deutsche's health, has pushed for a merger. Deutsche Bank has struggled to generate sustainable profits since the 2008 financial crisis. Those in favor of a merger say a tie-up would create a bank with an equity market value of more than 25.6 billion euros ($28.78 billion), based on Monday's closing share prices, and a 20 percent share of the German retail banking market. Deutsche Bank shares closed up 5 percent, while Commerzbank shares ended 7.2 percent higher, outperforming Germany's blue-chip DAX index, which rose 0.75 percent.